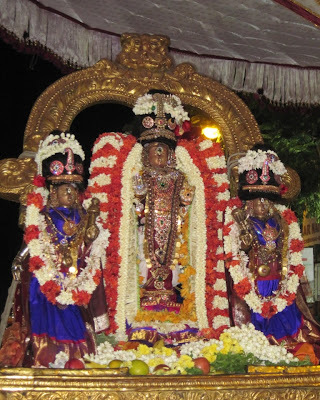 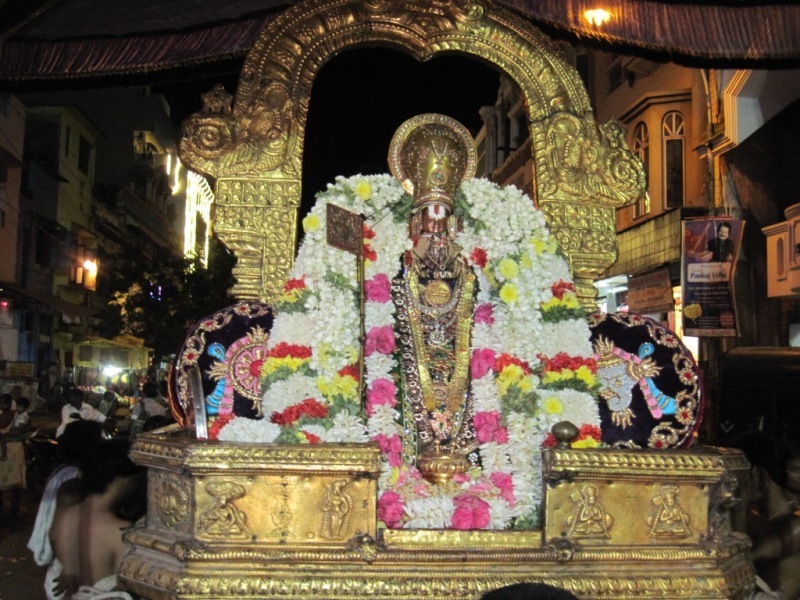 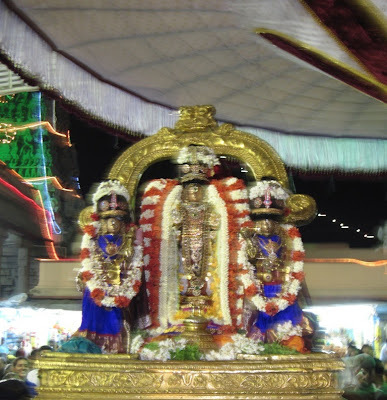 Today – 13th Oct 2012 – is the third day of Swami Manavala Maamunigal Uthsavam. As it coincided to be a ‘Purattasi Sanikkizhamai’ also, today at Thiruvallikkeni, num Acharyar ‘Mannu Pugazh Maanvala Maamunigal’ had purappadu along with Sri Azhagiya Singar, a rare occasion indeed. 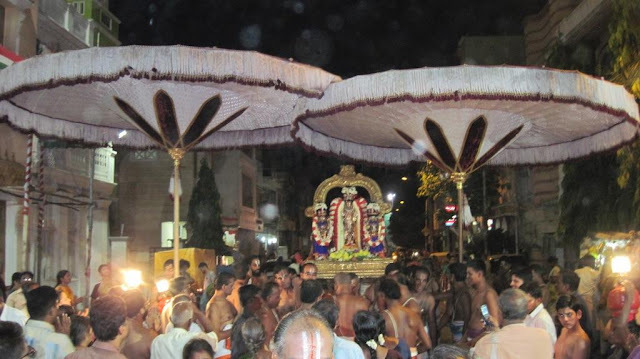 Being a special occasion, the grandeur of the Purappadu was more pronounced with the beautiful, extraordinary wide parasols. 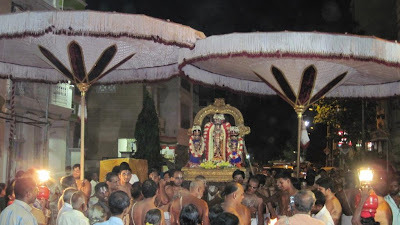 Today the Kudais [parasols / umbrella / canopy] that adorned were of 20 jon [jon in Tamil akin to one-half cubit] – and there were two of them, occupying the entire breadth of the broadest mada veethis. Here are some photos taken during the purappadu of Swami Manavala Mamunigal.